The Karnataka Learning Partnership began by supporting teachers in implementing a Bangalore-wide accelerated reading programme. By focusing efforts on the children who cannot read in primary school, KLP’s reading programme seeks to bridge a crucial learning gap between these children and their peers, facilitating further learning. An assessment of student outcomes in India has demonstrated that a large proportion of students in government schools is not at grade level in basic reading or Mathematics. Results from the 2008-2009 data show that Akshara’s remedial Mathematics programme was very successful in improving students’ Math skills. Data also shows that on average, student learning levels increased by 20%, and the variance in learning outcomes decreased dramatically. A randomised controlled trial was conducted on Akshara’s school library programme. Overall, it was found that the programme had no impact on students’ scores on a language skills test administered after 16 months. 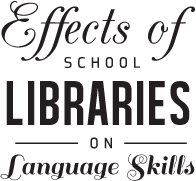 Although all of the libraries functioned as expected and were utilised by a large number of the students (81 percent a month on average), we find no overall effect on students’ language skills. The paper presented at the British Educational Research Association reveals major findings of the survey conducted in Bengaluru on government Urdu schools regarding the issues of access and quality in elementary education within the broad framework of public provisioning. Though most of the issues raised in the paper may reflect the situation of the mainstream schools in Bengaluru, the issue of minority has been neglected either due to sensitiveness attached to the issue of due to lack of voice and statistics to back. Akshara has implemented its preschool programme : as an action-research project in non-notified slums in Bangalore; in independent balwadis being run by women entrepreneurs; and through a third worker model2. However, the largest reach has been in anganwadi centres in collaboration with the Department of Women and Child Development (WCD) and is the focus of this paper. In the paper, we describe an informal preschool program that Akshara Foundation administered over 12 months in a set of non-notified slums in Bengaluru. The intervention is particularly noteworthy because it involved starting a system from scratch, as the area was not recognized by the local government, and therefore was severely under resourced.